Who should be the Primary Applicant for Canada PR? Canada is the favourite destination for many couples seeking permanent residency abroad. 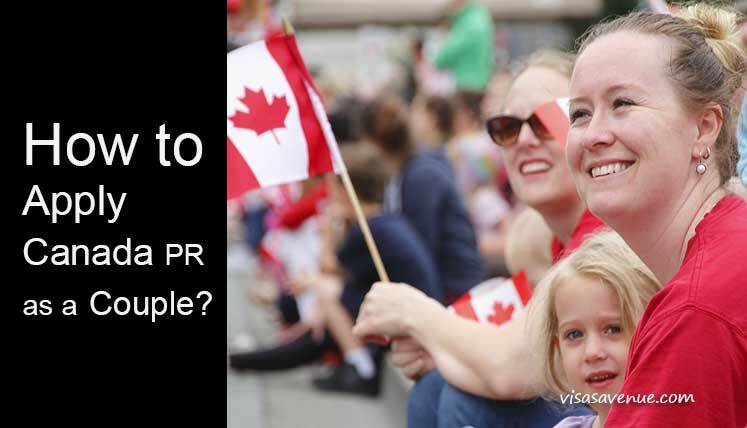 With its easygoing immigration policy, advanced infrastructure, and available professional opportunities, it lures many couples who apply PR in Canada every year. However, when you are moving to Canada with family the first concern remains the point score you earn on Canada’s point-based immigration system. Canada has got the point-based immigration system in place for federal express entry system as well as for many of its provincial nominee programs. What is point based immigration of Canada? The Immigration Refugees and Citizenship Canada (IRCC)has designed point based immigration system to allocate permanent residency to the overseas skilled worker and professionals. Express Entry Immigration was introduced in January 2015 by the Canadian immigration department, i.e. IRCC. Today, it is one of the most popular point-based immigration systems in the world. It has six selection factors, i.e. age, education, work experience, language skills, adaptability, and arranged employment. The person who scores good based on these factors ranks high on the system and stands a good chance of getting selected by the authorities. Deciding the primary applicant in the process also remains the key question. Also read– Which is the Most Flexible Selection Factor to Improve Express Entry CRS Score? Who should be a primary applicant? Since Canada follows a point-based immigration system, the person who scores high on Canada’s immigration point calculator stands the better chance of receiving an Invitation to Apply (ITA) for Canada PR. As per the current requirement, the CRS (Comprehensive Ranking System) Score of the applicant should be around 450 (As per the latest draw cut off). Hence, among the couple, whoever has the total point score close to this mark (based on all above-mentioned selection factors) should be a primary applicant. You can check your point score on express entry through the below points’ calculator. Moreover, if you have already submitted EOI (Expression of Interest) in the express entry system, but your points score is less than your partner, you can always choose to be the secondary applicant and make the partner the primary applicant he has a higher score in the express entry. You can apply Canada PR through a trusted immigration consultant to get inclusive assistance and support to get increase your points score in express entry system or explore and apply in the alternate immigration program. To select the best visa program based on your profile and apply in the same you must take assistance from a genuine registered Consultancy service. You may rely on Visas Avenue immigration- the top and accredited consultancy service for Canada immigration and PR. You may call the expert at Visas Avenue today to prepare your file and start your PNP process. You may call Visas Avenue migration experts on Toll-Free Number- 78-18-000-777. Moreover, to get your eligibility checked and subsequently, receive a call from the expert, you may fill the free assessment form.